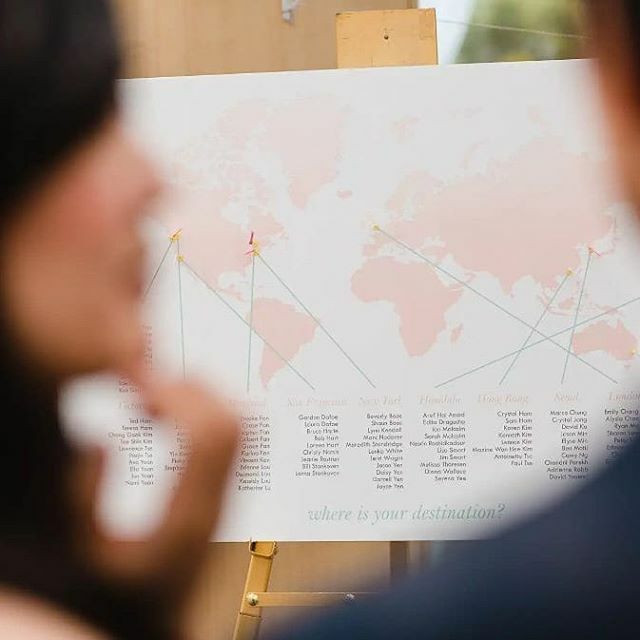 Seating chart for a special travel-themed wedding. Table names were destinations that were meaningful to the couple. All the designs for Rosalyn and Moses’ wedding are collected HERE.